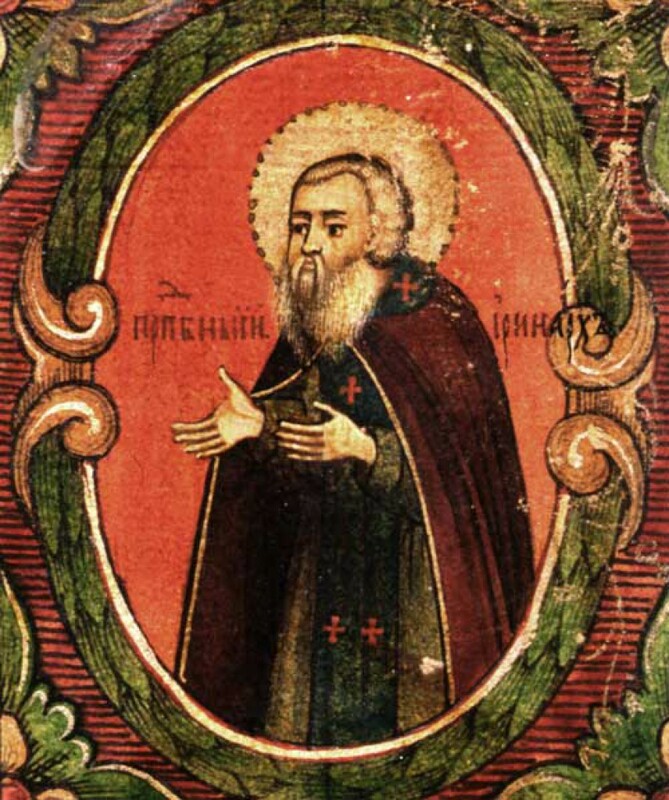 Saint Irenarchus of Solovki accepted tonsure at the Solovki Monastery, a fortified monastery located on the Solovetsky Islands at the White Sea in northern Russia, and in his monastic life he zealously imitated the Monks Zosimas (Apr. 17) and Sabbatius (Sept. 27), the founders of the monastery. In 1614, after the death of the abbot Anthony, Irenarchus became his successor at the behest of Tsar Michael Fedorovich. During these times the Solovki Monastery held tremendous significance in the defense of Northern Russia from the Swedes and the Danes. The new abbot did much to fortify the monastery. Under the abbot Irenarchus there was constructed a stone wall with turrets, deep ditches dug, and with stones spread out, and a thousand troops were contained within. 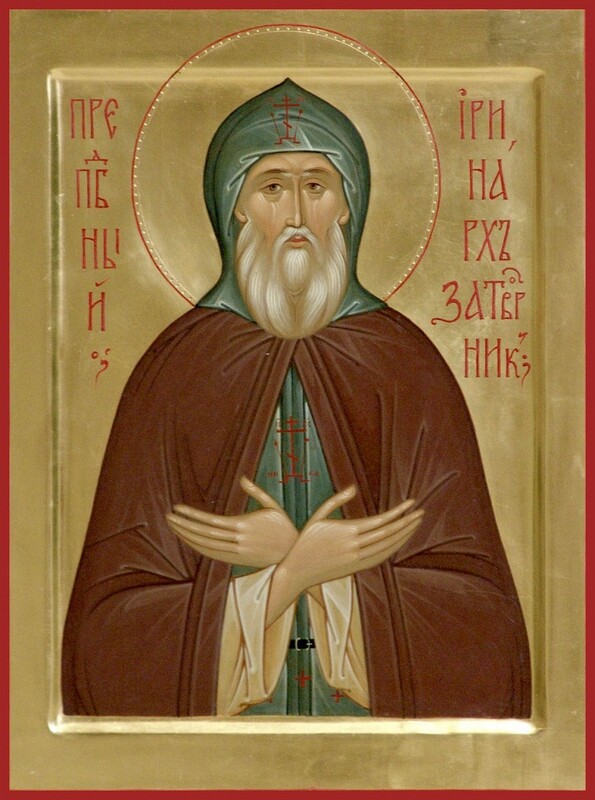 Concerned about the external dangers to the monastery, Irenarchus also devoted much attention to fortifying it inwardly and spiritually. Very humble and meek, constantly immersed in the contemplation of God, he was zealous for supporting in the monks a true monastic spirit. 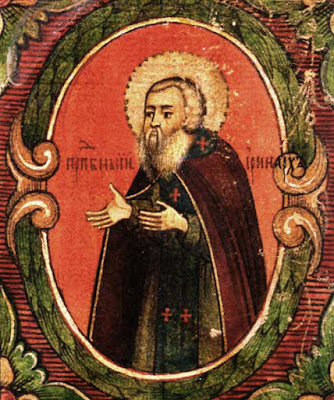 Under the spiritual guidance of Saint Irenarchus many worthy ascetics matured in their spiritual life. With the blessing of the abbot and under his assistant, Saint Eleazar (Jan. 13), a friend and co-ascetic of the venerable Irenarchus, he founded the Holy Trinity Monastery on Anzersk Island. 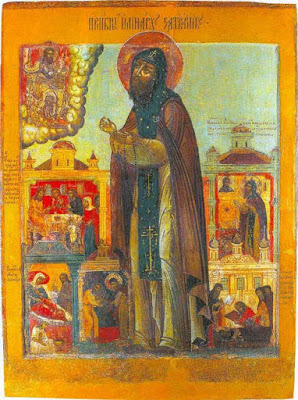 In an imperial document to the Solovki Monastery in the year 1621, the monks were bidden “to live according to the rules of the holy Fathers... and in full obedience to their abbot (Irenarchus) and the elders.” The last two years of the monk’s life were spent in silent prayer, and he reposed on July 17, 1628.